With HBO's thrilling historical fantasy Game of Thrones having overtaken George R.R. Martin's books in its sixth season, the plot is tearing along at a breakneck pace. Allegiances are shifting across the Seven Kingdoms (and beyond), armies are amassing, and the pieces are starting to move into place for the inevitable final clash of storylines. The fast pace has left a few casualties in its wake however, and the latest episode, "The Door," bid farewell to a well-loved character while also unveiling a tragic revelation about his backstory. First, a quick recap: as Bran (Isaac Hempstead Wright) lay dreaming with the Three-Eyed Raven (Max von Sydow), their cave was finally tracked down and overrun by the Night's King (Richard Brake) and his terrible army of the undead. 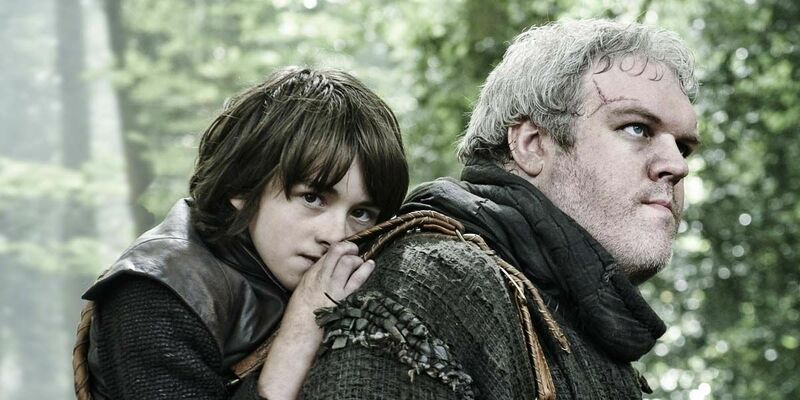 Meera (Ellie Kendrick) managed to stave off them off with a little help from the Children of the Forest, and begged Bran to warg into Hodor (Kristian Nairn) so that the gentle giant could drag his unconscious body from the cave. 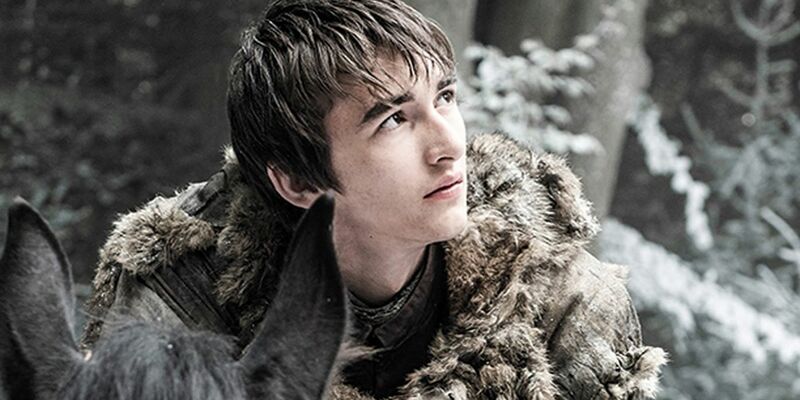 Bran did so by warging into a younger version of Hodor, then called Wylis, as he visited the past. After the three escaped the cave, Ellie yelled at Hodor to "hold the door" in order to give her and Bran enough time to escape. The words echoed down through the past, via Bran, causing Wylis to fall to the ground and seize while yelling "hold the door!" over and over again, until brain damage set in and the three words slurred into one: "Hodor." In the present, Hodor seemingly dies holding the door so that Bran and Meera can get away. "We had this meeting with George Martin where we're trying to get as much information as possible out of him, and probably the most shocking revelation he had for us was when he told us the origin of Hodor and how that name came about. I just remember Dan and I looking at each other when he said that and just being like, 'Holy s--t.'"
"Even sitting in a hotel room having someone tell you this was going to happen in the abstract in some way and that 'hold the door' was the origin of the name Hodor, we just thought that was a really, really heart-breaking idea." Speaking to EW about the scene, Nairn said, "I had tears in my eyes. I don’t see myself on screen, I see Hodor. I always talk about him in the third person. I just saw the character die and it was very sad." Unlike his co-star Kit Harington, who consistently denied rumors that his character Jon Snow would return from the dead (until he did), Nairn seems to be holding on to a sliver of hope. "You don’t actually see him [die]. It’s implied. So who knows? He may come back as a White Walker, maybe he got away." Game of Thrones returns next week with 'The Broken Man' @9PM on HBO.